The Victory V412SG is a 4x12" Extension Speaker Cabinet loaded with Celestion Vintage 30 woofers. 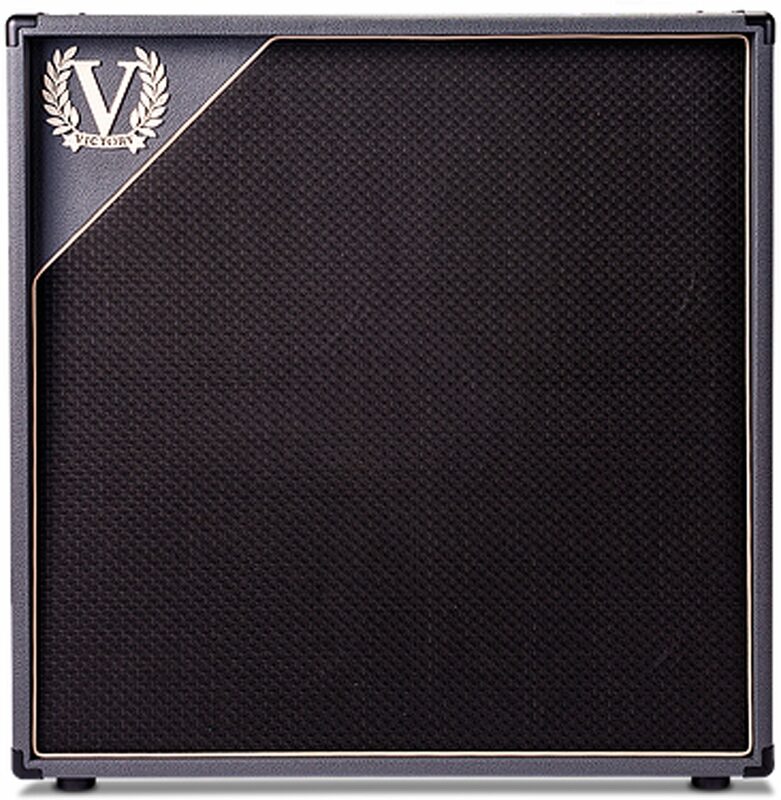 The Victory speaker cabinets are hand built in England using redwood pine for top and sides and quality Baltic birch ply for backs and baffles. The speaker baffles are angled back by 2-3 degrees to help with projection towards you when you're playing. They also feature vintage black woven grille cloth to match aesthetically -- and of course tonally -- with Victory heads. The Vintage 30 is a very efficient (100dB), relatively powerful, large-magnet (Ceramic, 50 ounce) 12-inch driver. Clear highs, projecting upper mids and strong bottom end make it a favourite with players who like modern gained sounds and/or high headroom cleans with minimal speaker breakup/distortion. The high sensitivity/efficiency rating makes the absolute most of every watt you throw at it, so when you put four of them in one big-box, closed-back cab, you can expect colossal power and projection for the very biggest of stages.